Pioneers in the industry, we offer grass for balcony, grass for exterior, grass for terrace and balcony grass from India. Enriched with immense industrial knowledge, we are engaged in offering a technically updated variety of Grass For Balcony. This grass is an absolute replica of the original grass surface minus the mud effect especially after the mud get wed with rains and creates a mess. We offer this range in variegated designs, sizes and other specifications in order to meet the different needs of the clients. 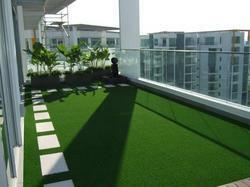 We are offering a dynamic assortment of Grass For Balcony. 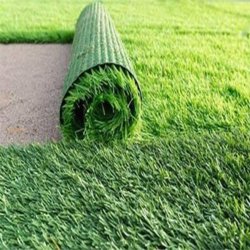 This artificial grass is manufactured using finest quality synthetics, rubbers and silicon with the aid of latest techniques. We offer this range in variegated designs, sizes and other specifications in order to meet the different needs of the customers. Apart from this, our prestigious clients can avail this artificial grass from us at reasonable prices. We are a well-known name in the market in offering a wide range of Grass For Exterior. The water based artificial grass must have an applied water layer before it is used and irrigation is achieved by pop up sprinklers or water cannons. Although more expensive than sand filled systems, a water based artificial Grass provides the best performance and safety characteristics available in the modern game. Being one of the most appreciated firms and assist by expert and knowledgeable professionals, we are involved in offering a vast assortment of Grass For Balcony which is used in various official, commercial and corporate sectors to enhance the appearance of interior and exterior locations. These are largely acknowledged for their outstanding quality and appearance. They are easy to maintain, clean and are provided as per clients requirements at beneficial market price range. We are offering a wide range of Grass For Terrace. 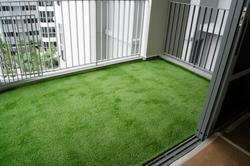 We are offering a wide range of Balcony Grass.